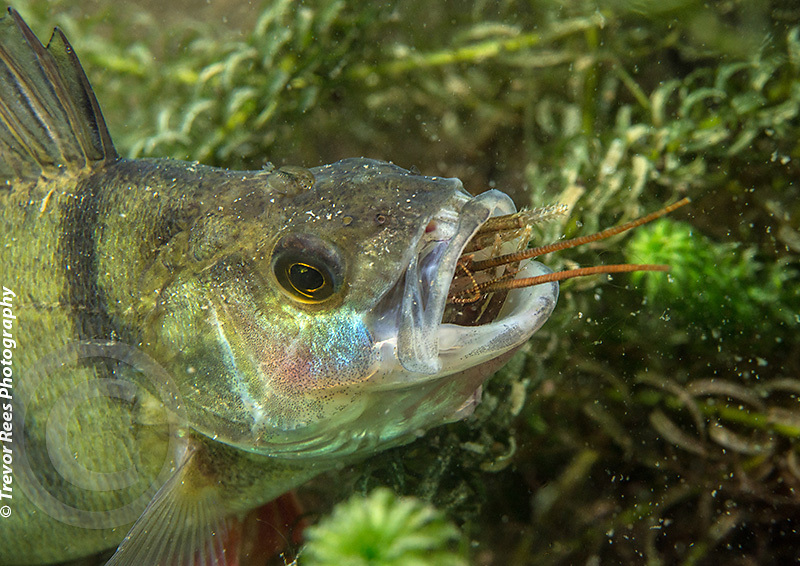 Here was an unusual behaviour caught on camera of a perch (Perca fluviatilis) eating a white clawed crayfish (Austropotamobius pallipes). The perch was somewhat docile and preoccupied at the time this was taken. The crayfish was clearly quite a mouthful to deal with.